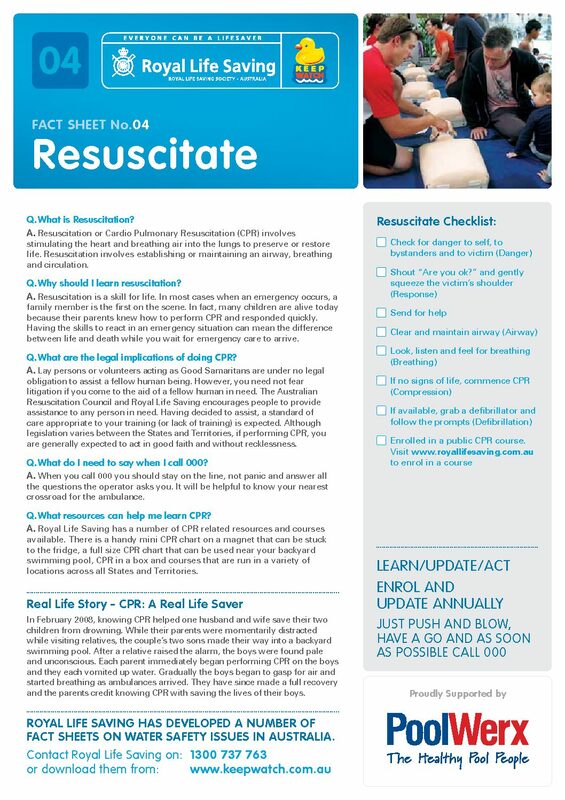 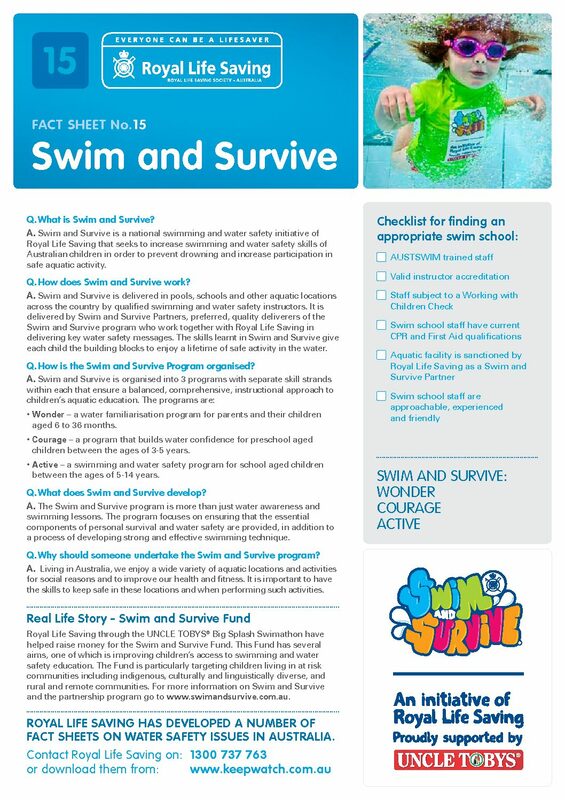 Royal Life Saving has developed a number of PDF fact sheets on topics such as supervision, resuscitation and water awareness. 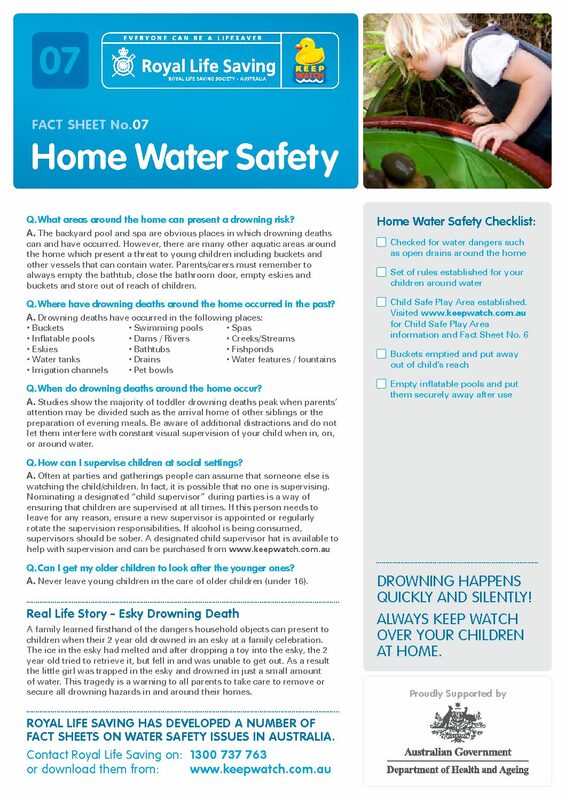 These can be downloaded below. 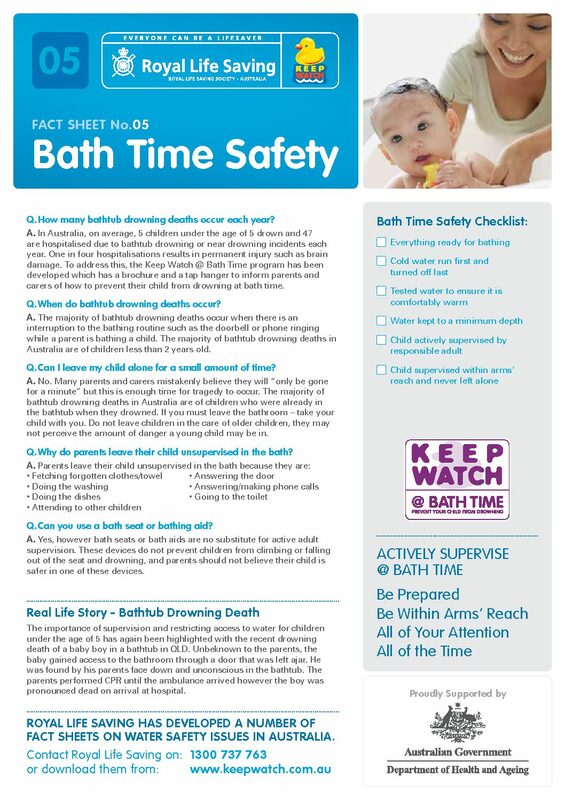 within arms’ reach and be in a position to respond quickly. 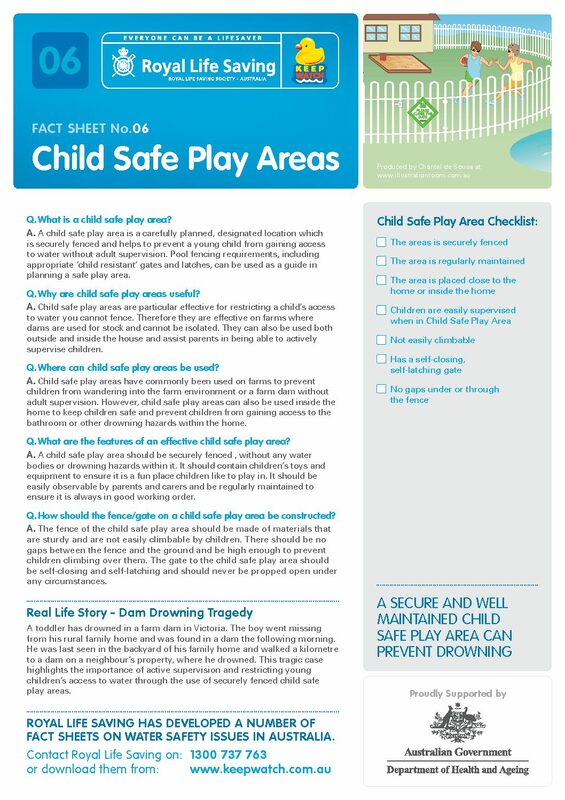 and a body of water. 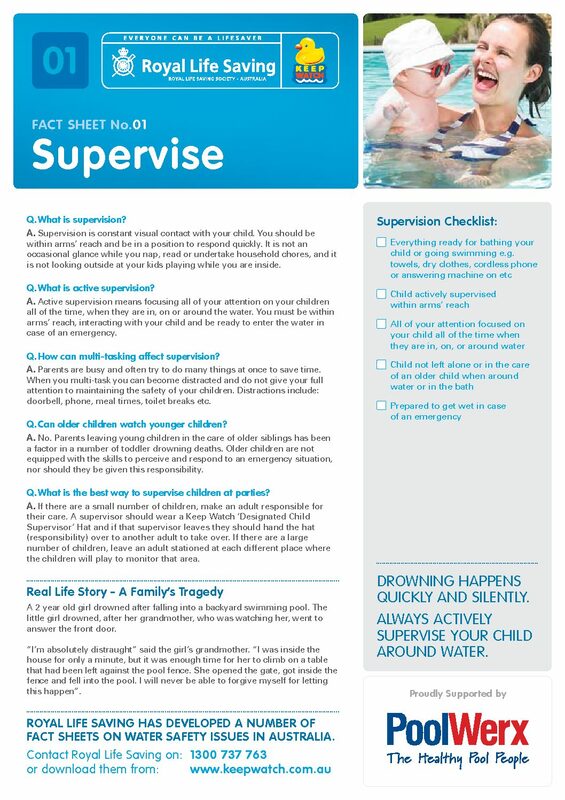 help ensure your child’s safety when in, on, or around water. 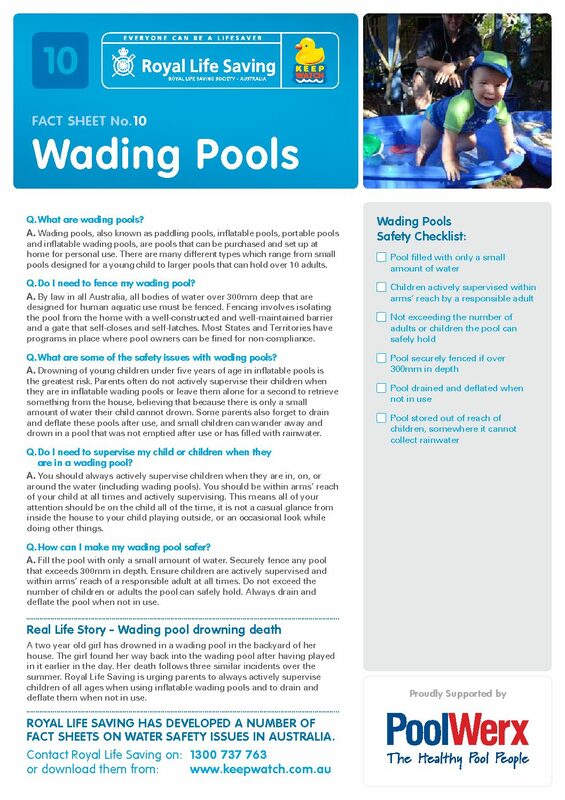 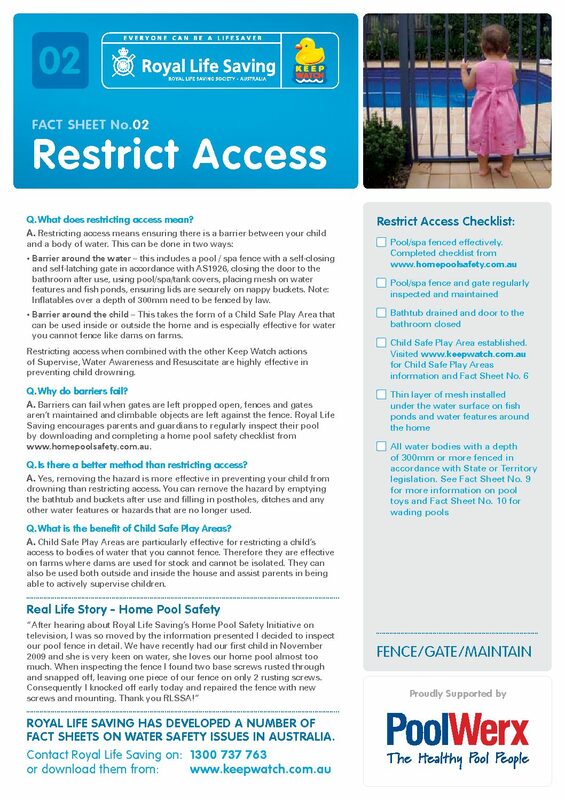 Information for parents and carers on how to prevent their child from drowning at bath time. 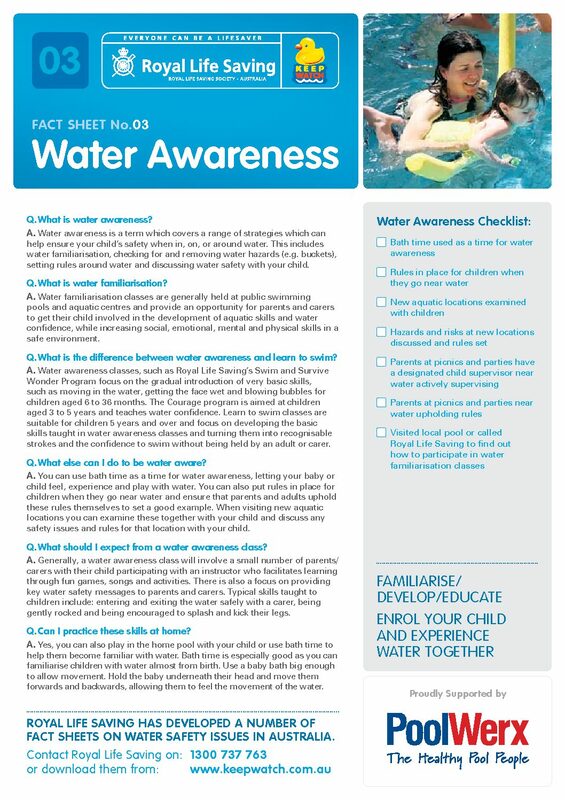 There are many other aquatic areas around the home which present a threat to young children. 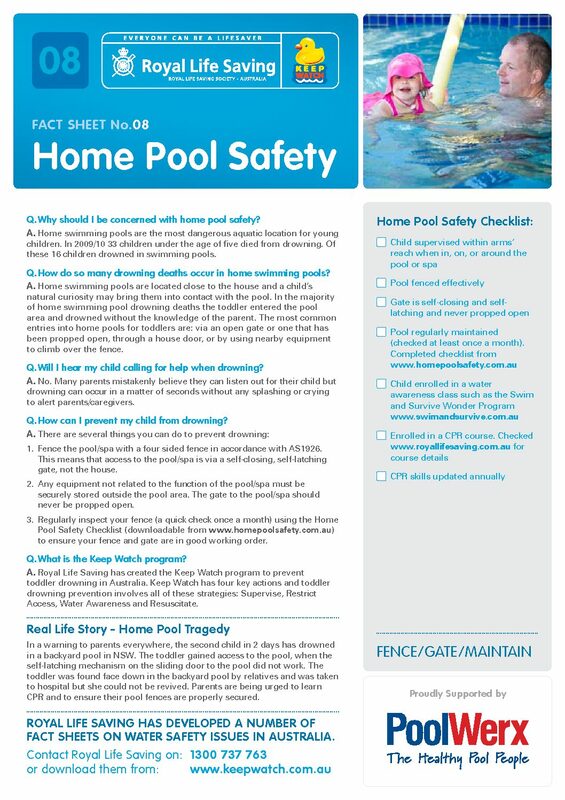 Home swimming pools are the most dangerous aquatic location for young children. 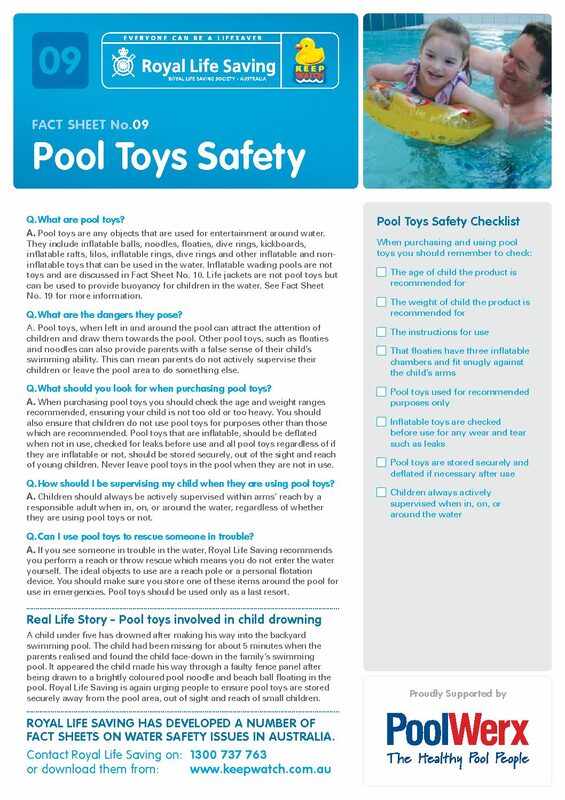 Pool toys, when left in and around the pool can attract the attention of children and draw them towards the pool. 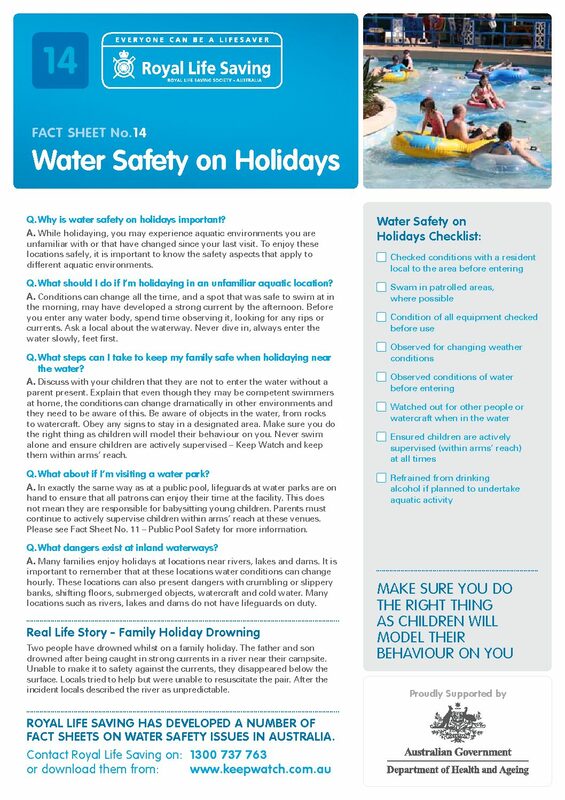 While holidaying, you may experience aquatic environments you are unfamiliar with or that have changed since your last visit.